In this series of blogposts, I am giving a view on the Gen Y consumer and societal evolutions for 2014 and beyond. 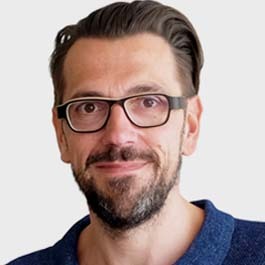 It is based on multiple brainstorms and discussion with a number of trendwatchers including Herman Konings (@soeproza), Tom Palmaerts (@palmaerts), Steven Van Belleghem (@stevenVBe) and Sven Mastbooms (@Sven_Seven). The first one is called “serendipity”. As a reaction to our by algorithms predicted behavior, the over-personalization of products, services and ad messages, too many suggested links or purchases in our social media, on e-commerce sites or even in shops, we will fight a harder battle against boredom in 2014. We are suffering from “Thaasophobia”, the fear of being idle, of standing still, or getting bored. Even speed dating no longer is speedy enough, unless it literally happens as in this 2013 Renault Clio RS commercial. We increasingly feel a need for unexpected, coincidental, fun discoveries and surprises in a society in which everything is becoming too predictable. It has been scientifically proven that a sandwich is better when prepared by someone else, because otherwise we anticipate too much on the taste (based on the fact that we know the ingredients), which kills the appetite. 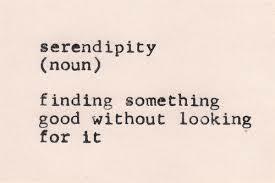 2014 will be the year of serendipity. Many inventions and discoveries are the consequence of ‘sheer luck’, as serendipity could be described. Think about X-rays, Kellogg’s cornflakes, 3M’s post-its, the HP inkjet printer, Viagra, the teabag, penicillin or the discovery of America. So the notion serendipity is also important in a way that it could be at the start of a new economy, The Serendipity Economy, where other less fixed methods of collaboration increase the chances of coincidental discoveries. Collaborative social networks for companies such as Yammer and more open ended research methods such as Consumer Consulting Boards are supporting this new way of business thinking. Even thé number 1 algorithm company, Google, still shows the “I’m feeling lucky” button which immediately takes you to the first search result based on your search words. This is possibly costing Google a yearly 110 million dollars in missed income from advertising. And how about Google’s famous Doodles. Aren’t they regularly surprising and intriguing us and making a boring search job more fun. The urge for serendipity has also infiltrated events such as TomorrowLand en TomorrowWorld, since ‘being surprised by an event’ is the number 1 main criterion for Millennials, as we learn from an InSites Consulting survey realized in 13 countries (Belgium, Brazil, China, Germany, India, Italy, the Netherlands, Poland, Russia, Sweden, Turkey, UK & USA) earlier this year (full results will be shared early 2014). But it is also a “business an sich”, such as the lovely surprise boxes on notanotherbill.com or the Belgian Deauty.be (which stands for Discover Beauty) or the ‘Pochette surprise’ for 20€ at the fashionable Paris retailer Colette. Panera bread, the American bakery-and-café chain, has also included a healthy portion of serendipity in its MyPanera loyalty card. Talking about playing with cards… board games, which traditionally have strict rules, now also give more room to coincidences. 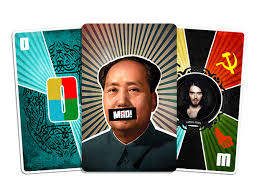 Examples are Cards against humanity – immensely popular in the US – and Shut you Mao – new and since recently sponsored by Kickstarter. Computergames such as Mindcraft are very popular with the youngest generation. Mindcraft is open world game that has no specific goals for the player to accomplish, allowing players a large amount of freedom in choosing how to play the game. Since its release at the end of 2011, it has been selling over 33 million copies. 22tracks.com is a curated jukebox which contains 22 playlists of 22 tracks each. All tracks are selected by deejays from 4 cities. The idea is that you get surprised, that you discover new genres and new music, without registering. In the travel sector there is getgoing.com where you get a discount because they choose your destination, so you are rewarded for your flexibility. A few of the apps which stand out include Crowsflight, a GPS compass which only indicates which direction you are to walk in, without route descriptions or street names giving you room for unexpected pleasant surprises. Wrangler jeans launched “Find your edge” this year, an app which automatically logs where you have been but just like Nike Fuelband gives you rewards for burning calories, the Wrangler app rewards you when you go to places you’ve never been to before. Jeep introduced the “Get lost” button on their GPS system. Jeep drivers can select it and choose their terrain from options like mountain, sand or woods. The GPS will then take them to one of 28 off-road destinations in the middle of nowhere. And last but not least, Heineken has been using serendipity since 2013 as the core of their positioning and viral marketing. From the departure roulette through the #dropped campaign all the way to the most recent Christmas Carol karaoke which has already attained more than 2,5 million views after it was launched last week. Would this also be a consequence of the considerable amount of options offered to people in all aspects of life ? They make it so difficult for them to make choices that they appreciate it when those choices are made on their behalf. kind regards and keep enlightening us ! Marketers’ Quest for the Infinite Conversation | Innovate. Accelerate. Activate.